Here are some of the best hospitals in Southern Carolina and the 55+ communities near them. There are a lot of advantages that come along with living in South Carolina — from the scenic coastal towns and mild weather that can be expected year round to relatively low tax rates. It’s no wonder the Palmetto State is one of the most popular retirement destinations for active adults who want to live along the East Coast. 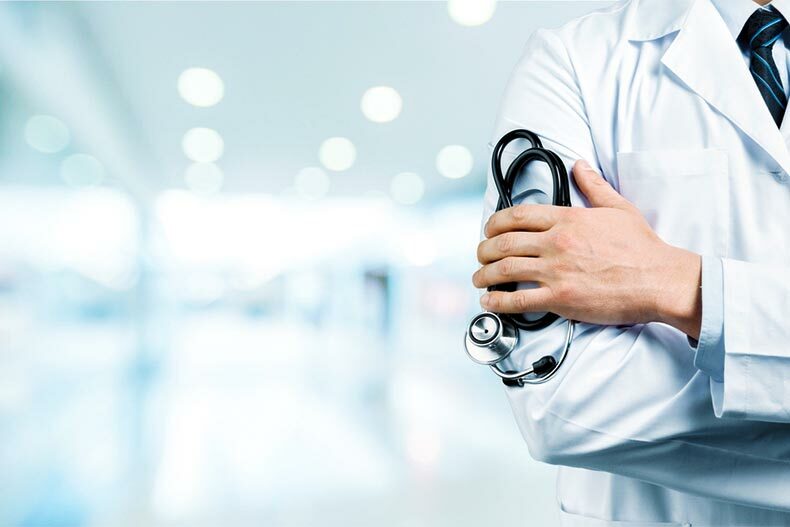 South Carolina also has almost 90 hospitals making it even more appealing to those looking to settle down somewhere with top-notch healthcare facilities nearby. As with every state, U.S. News and World Report ranked the best hospitals in the state. We're taking a look at some of the best hospitals according to the list and finding the best 55+ communities within a short drive. Charleston is home to three top-rated hospitals, including MUSC Health-University Medical Center, Bon Secours St. Francis Hospital, and the Roper St. Francis Hospital. MUSC Health-University Medical Center is the top hospital in the state and is nationally ranked in many adult specialties. The Elms of Charleston is a gated, 55+ community that offers residents a convenient location to all Charleston has to offer, plus, its nationally ranked hospitals. Homeowners in the community can also enjoy resort-style amenities and a low-maintenance lifestyle with annual homeowners’ association (HOA) fees taking care of community maintenance and exterior home care like yard work and power washing. The Elms is made up of a combination of 325 single-family and attached homes with only resale homes available. This small, gated community is made up of only 48 condominiums built by New Leaf Builders in 2007. There are three floor plans for potential residents to consider in Middleborough at Shadow Moss Plantation with sizes ranging from 1,785 to 1,975 square feet of living space. Each plan includes three bedrooms, three bathrooms, and a two-car garage. Notable amenities include a clubhouse, outdoor pool and patio, plus, walking and biking trails. For additional amenities, homeowners can purchase a membership to take advantage of the many options the larger Shadowmoss Plantation community has to offer. South Carolina’s capital is home to Providence Hospital. It made No. 5 on the list and is rated high in four adult procedures and conditions. Made up of both single-family homes and condos, Hulon Greene is a great option for active adults looking to buy an affordable home. Single-family homes range from 1,500 to over 3,500 square feet of living space and feature two to three bedrooms, two to three bathrooms, and an attached two-car garage. Condo sizes range from 832 to 1,210 square feet and can have one to two bedrooms, and one to two bathrooms. The community’s amenities include a clubhouse, fitness center, library, pool, and plenty of natural space for residents to enjoy. Located only 30 minutes from Columbia in the small town of Elgin is The Villas at Woodcreek Farms, a small community with a total of 58 new single-family homes. There are four different home collections that range in size from 2,050 to 3,300 square feet. Some plans feature as many as four bedrooms, three bathrooms, and three-car garages. Beyond the home choices, residents will appreciate the fact that their annual HOA fee covers outdoor maintenance, so they won’t have to worry about doing time-consuming lawn care, gutter maintenance, or power washing. And, even with the free time residents won’t run out of things to do with eight tennis courts, an 18-hole golf course, a pool, walking and biking trails, and scenic lakes to stroll around. Bon Secours St. Francis Health System-Greenville is located in Greenville. It's ranked high in four adult specialities, including hip and knee replacements. Greenville’s Swansgate is an established community that was originally built in 1983. It’s gated, age-restricted, and made up of a mixture of 165 single-family homes and 24 condo units. Homes within the Swansgate community range from 1,028 square feet to more than 2,400 square feet of living space. There are several designs and floor plans to choose from that offer options for two to three bedrooms, two bathrooms, and a parking spot or an attached garage.